North East Riders Meet- 2012 (NERM) motorcycle expedition flagged off from Arunachal Pradesh capital Arunachal Pradesh Parliamentary Secretary for Tourism, Pasang Dorjee Sona. The biking expedition is conducted by Arunachal Bullet Club (ABC). 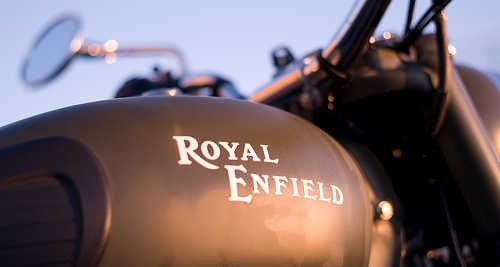 It's an annual event, where Royal Enfield riders from the north east region and invitees from other states get together with their Bullets, and meet and get to know each other. The first meet was held on August 22, 2009 at Kaziranga in Assam and the man behind this is Sunil Karnany from Assam Rhinos who took the initiative in 2009 of calling all the clubs riding Royal Enfields in the North East. Since the 1st NERM in 2009, which 20 riders attended, NERM has grown from strength to strength and this 4th NERM in Nagaland will see other clubs from the northeast region participating. In this first ever meeting of the NERM, it was decided that in order to have a closer relationship among riders of the region, this event should be held once a year with the motto “When we meet, we grow”- coined by Mark Vincent Shullai from Shillong. It is worthwhile to mention that the ABC, with support from Sona, hosted the 2nd NERM in 2010 with the ‘Ride In Paradise’ to Menchuka, where 185 riders from all parts of the country participated. It was in this NERM that a new committee for the North East was formed with RERAM president PS Warjiri as the chairman, Nabam Jose, then president of ABC as the vice chairman and Mark Vincent Shullai as the general secretary and all clubs as members. The ABC, having done numerous awareness rides on a variety of issues concerning the state, has grown in stature incredibly since it was set up 7 years back with veteran riders like Kipa Babu, Pige Ligu, Vijay Sonam and others. “We need to support the riders who are promoting a new way of safe and responsible riding,” said newly elected club Chief Dingwang Wangham. “Our riders are going as ambassadors of the people of Arunachal and will carry the goodwill of the State and a code of solidarity with the rest of the North East,” he added.